I recently came back from the Great Lyceum in the Sky for a nostalgic visit to my old stomping grounds. 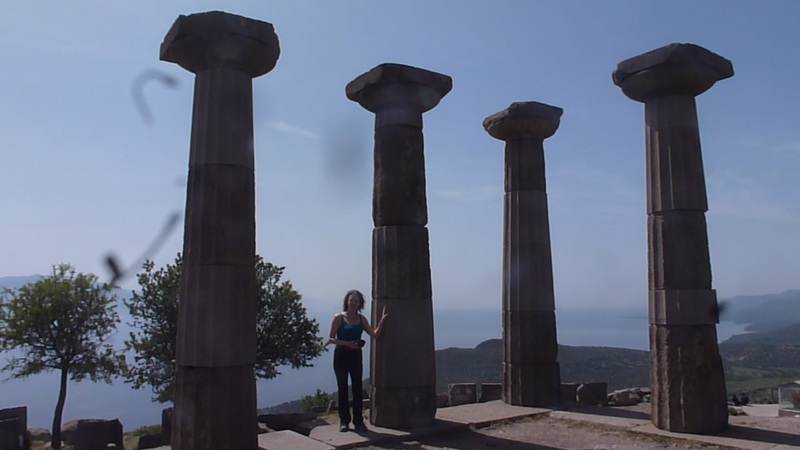 I spent two years of my life in the west of Turkey, at Assos (now known as Behramkale), with its beautiful Doric temple of Athena. I was invited there, after Plato died, by its ruler, Hermias, and enjoyed teaching him philosophy. I am distressed to discover that the lifesize statue of me which enhanced the village square has recently been removed, as a British Professor of Classics has alerted me. 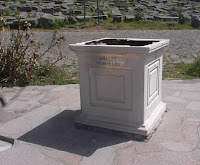 The plinth is now used a public rubbish bin. It was bad enough in the old days that the Behramkalites got my name wrong and called me ‘Aristo’ (an ugly abbreviation which I resented). 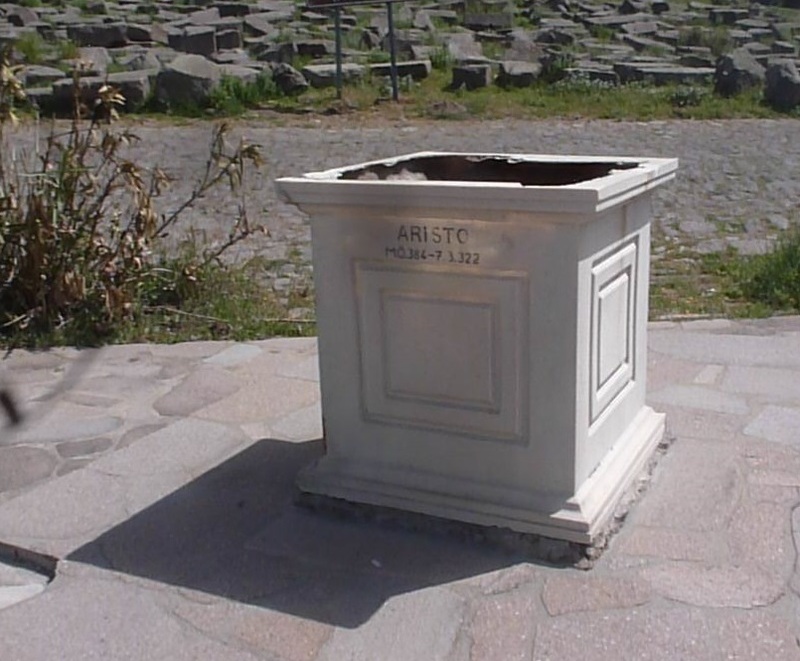 But deliberately to have erased any sign that rational Greek philosophy and science flourished at Assos under my tutelage is to take your ideological war on openness of intellectual enquiry a bit far. There is now no mention of me anywhere on the site. There is no Aristotle fridge magnet on any tourist gizmo stall. I found only this garden gnome-like mini-me outside an empty café, with no name inscribed. What is going on? Are you so scared of intellectual debate and pre-Islamic history that you just delete them? 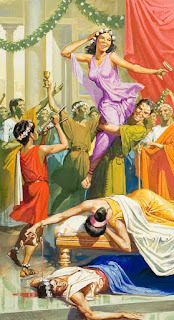 I wrote quite a bit of my Politics at Assos, because Hermias wanted to reform his one-man rule (which we used straightforwardly to call a tyranny instead of pretending it was a democracy). Although I have now repudiated my former prejudicial view of women, and see that slavery was indefensible, I stand by most of what I wrote and think you need reminding of my observations. 1. Tyrants abuse religion to consolidate their power in the state. 2. Nobody can expect to make money out of the community and to receive its respect as well. 3. States malfunction when there are no friendly partnerships in operation between the individuals who constitute the state, only suspicion and envy. 4. Tyrants discourage any activities amongst citizens which foster self-esteem and self-confidence. These activities include academic work, the formation of study-circles and other arenas for debate. 5. The goal in a real democracy is liberty; your democracy sounds like my definition of tyranny, where the goal is the autocrat’s personal self-protection. 6. As I will explain in my work on Rhetoric, torture doesn’t work. Those subjected to torture are as likely to give false evidence as true, while others are equally ready to make false charges against others, in the hope of being sooner released from torture. I trust that after digesting this you will free everybody you have recently arrested, reinstall my statue in Assos, and celebrate the contribution made by my human-centred and effectively secular Virtue Ethics to world civilisation. 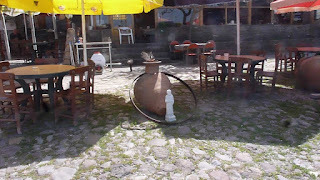 I invite you to visit my other old homes in Macedonia and Stagira to discuss this further. 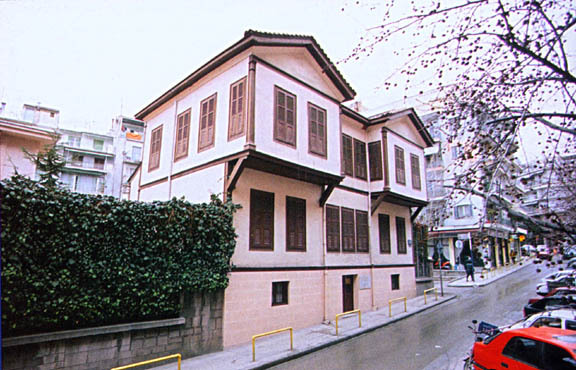 You can come by ferry to Thessaloniki, where Mustafa Kemal Atatürk was born. 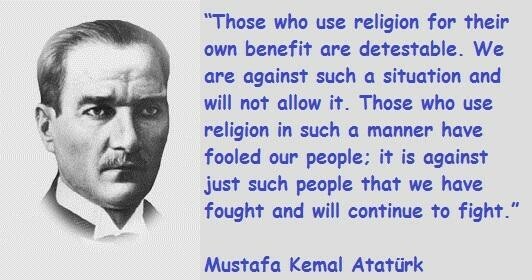 While you’re there you can visit the Atatürk Museum to be reminded of another, very different vision of a modern Turkey. 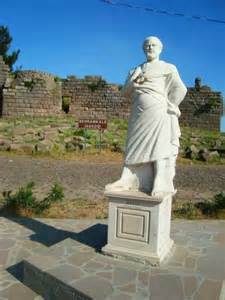 Aristotle son of Nicomachus of Stagira. 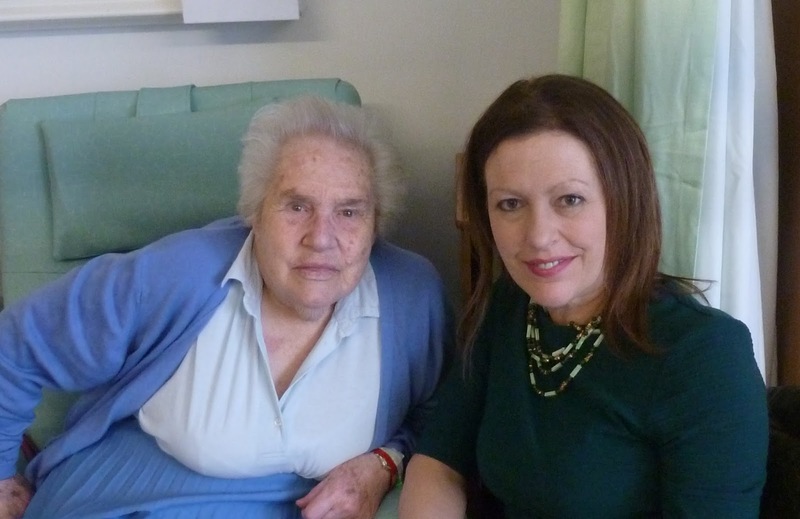 A forlorn week in which my mother died. She was ninety and had been ill for some months. But it has knocked me sideways. 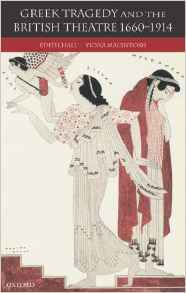 Brenda Mary Henderson Hall was born into a cheerless haute-bourgeois Scottish family. An isolated only child, she struggled with her unfeeling father and depressive mother Edith, who eventually committed suicide in the 1960s. 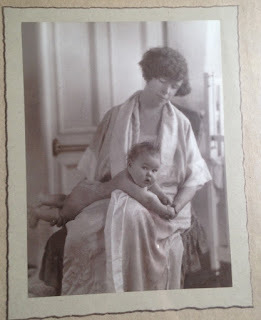 But my mother’s gutsy response to this early domestic misery was to avoid replicating it at all costs. This is not to say that one part of her did not remain, for me at least, closed off and mystifying. There were things about her background she flatly refused to discuss. What was admirable was the way she hurled herself into wifehood and motherhood, having four children and nine grandchildren on whom she lavished smiles and delicious meals, always with the fullest-fat ingredients. She was an old-fashioned Scottish Liberal to the core. She was furious when she appeared in a novel called The Cellar at the Top of the Stairs written by an alleged friend of mine. He had modelled its classically educated detective Ethel on his psychedelic impressions of me. He portrayed Ethel’s mother as a keen flower arranger (which she was) but also as a supporter of the Conservative Party (which was unthinkable). 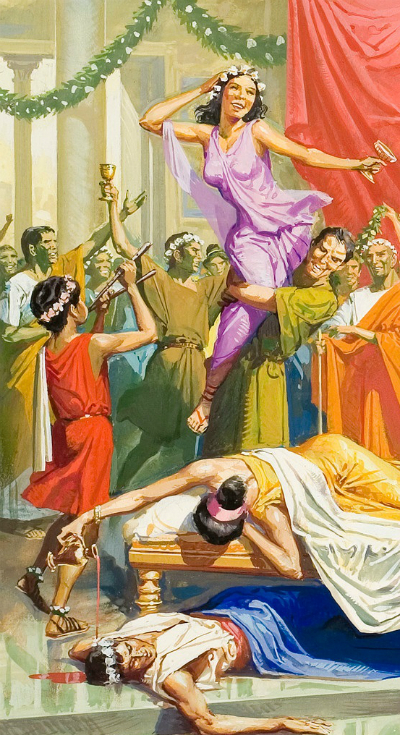 Her death has come as I struggle to make the index for an OUP feminist history book I'm co-editing with Rosie Wyles, Women Classical Scholars: Unsealing the Fountain from the Renaissance to Jacqueline de Romilly. 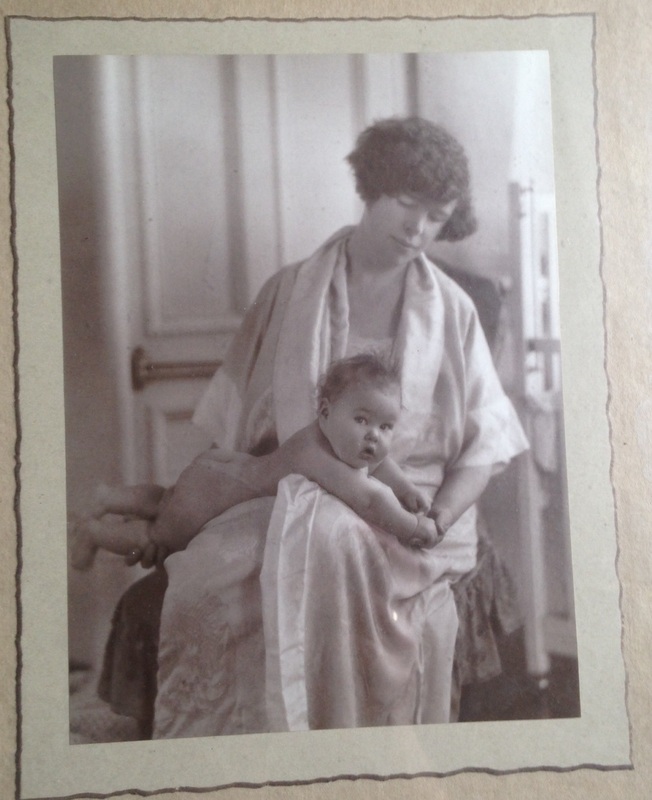 My mother would have revelled in the subject-matter. I have no idea how to make an index beyond word-searching proper names, and find myself sobbing all over the pdf. She was a world-class professional indexer and is no longer sitting by her computer at the end of the phone. From my first book in 1989 to Adventures with Iphigenia in Tauris just two years ago, my mother created brilliant, detailed, thematic, conceptual, intellectually sophisticated and unbelievably useful indexes to almost every book I have published, especially most of the string of collaborative volumes which have come out of the Archive of Performances of Greek & Roman Drama at Oxford. She was the Best Indexer of Humanities books ever. 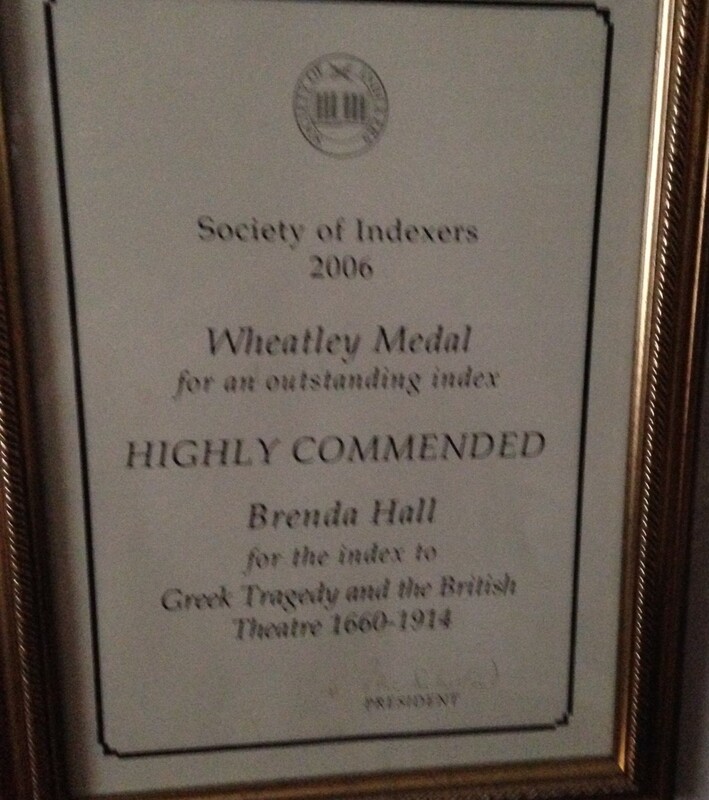 She won a National Prize Commendation for the sophisticated research tool which is her index to the enormous Greek Tragedy and the British Theatre 1660-1914 which I co-authored with Fiona Macintosh in 2005. Mum transformed a monster volume crammed with wildly unfamiliar data into a usable document enhanced by an index of intellectual and aesthetic beauty. 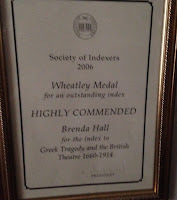 In honour of her I always comment on the quality of indexes in books I review. I hate the mediocrity of the one I'm failing now to compile. She was correct that nobody should index their own books. Like the insightful indexer Claire Minton in Kurt Vonnegut’s Hiroshima novel Cat’s Cradle (1963), she could psychoanalyse any author who indexed their own book just by looking at the concepts they chose to feature. She was many things to many people, but in adulthood I forged a new collegial bond with her in discussing the minutiae of dating conventions and sub-headings. I doubt if her indexing will feature much in other funeral tributes. So this is my way of saying thanks, mum, and good-bye. Sad and uncertain times domestically mean that heroes of high MORALE have meant more than usual this week. I am an advocate of morale-raising as a principle. It can win wars against impossible odds and transform seemingly unendurable situations into moments of grace. On Friday I did my own version of Retail Therapy. This consists of wandering with a tenner around the charity shops of either Cheltenham or St Andrews, depending on whether I am nearest my self-generated or original, natal family. 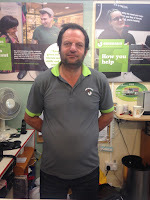 I laughed for half an hour in the incomparable Emmaus shop in Henrietta Street, Cheltenham, served by the morale-boosting Graham Todd. 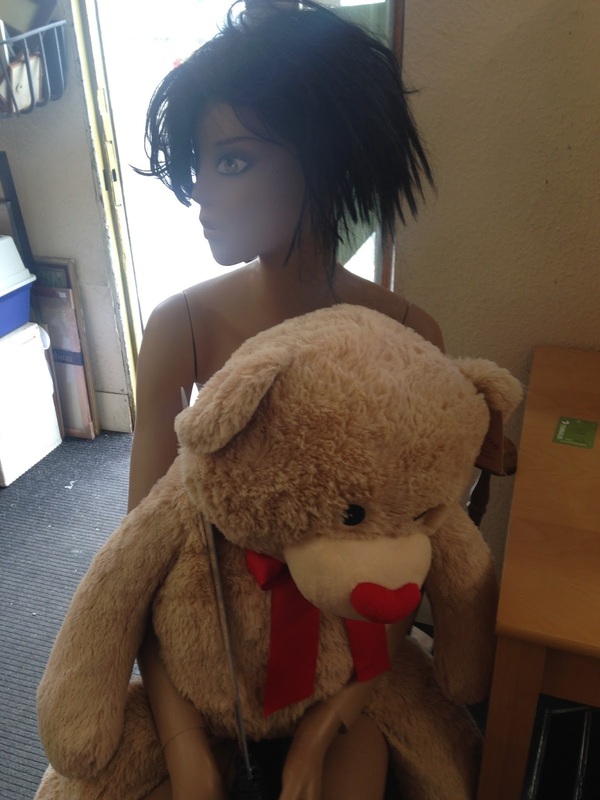 There is always a comical tableau at this shop's entrance: this week a vast teddy bear sat on an ancient plastic mannequin holding a scimitar in her hand, threatening to execute him. I bought two pairs of jeans, a kitchen utensil jar, a book, a colander and some lovely big plates for pasta. 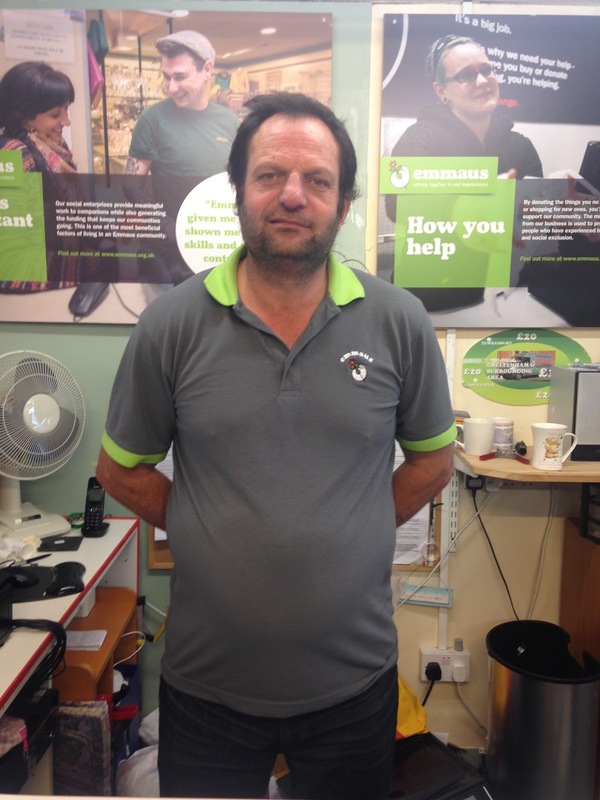 Emmaus is an admirable charity for the homeless; its Royal Patron is the only member of Windsor.com who appears to give a toss about poverty--Camilla, Duchess of Cornwall. What I love about this branch of Emmaus is that it is crammed high with stock and untouched by daft concepts of tasteful High Street colour-themed presentation. The staff always have time for a blether. Rock on Graham: I will be back. 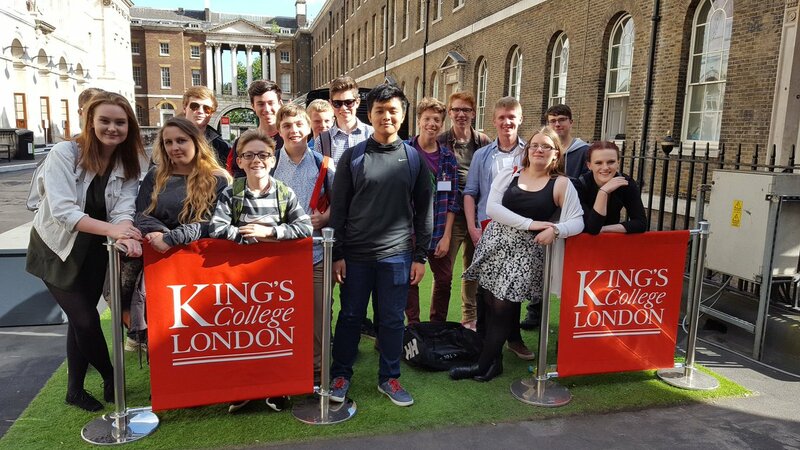 Then on Saturday I welcomed for a day of festivity at King’s College, London, forty+ teenagers studying classical civilisation at state schools/6th-form colleges in Kent, Worcester, Milton Keynes, and Lewisham. They get to be thrilled by the ancient Greeks and Romans because their dedicated teachers work their socks off. They are true Morale Heroes of our time—Paul Found, Simon Beasley, Stephen Dobson, and Eddie Barnett. 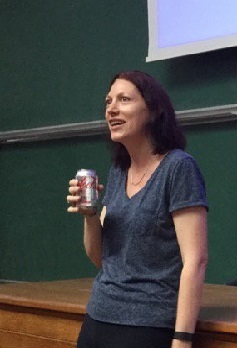 Natalie Haynes (comedienne, novelist, journalist, broadcaster and Renaissance Woman, in fact pure Morale in a Bottle) kicked off proceedings. 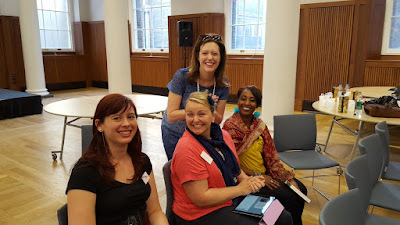 Others who participated in a day of joy, including poets Caroline Bird and Caleb Femi, know how grateful I am. My retail life doesn’t get better than Friday and my working life better than Saturday. Morale is one of my obsessions: on interview panels I ALWAYS ask how aspiring lecturers would contribute to departmental good cheer. A good response would be e.g. that you can play the bagpipes. But if you look like you don’t even understand the question it might be better to go off and be bleak somewhere else. The ancient Greek for high morale is euthumia. It is definitely my Word of the Week. Conspiring for Pleasure and Edification in Classics!